It's been a while since my last post but my blog has been having a bit of a makeover from one of my Stampin' Up team mates Catherine. I am completely technically challenged and I'm thankful to Catherine for the brilliant job she has done. I'm now hoping to start posting a bit more often, especially as I have so many lovely things to share with you all. 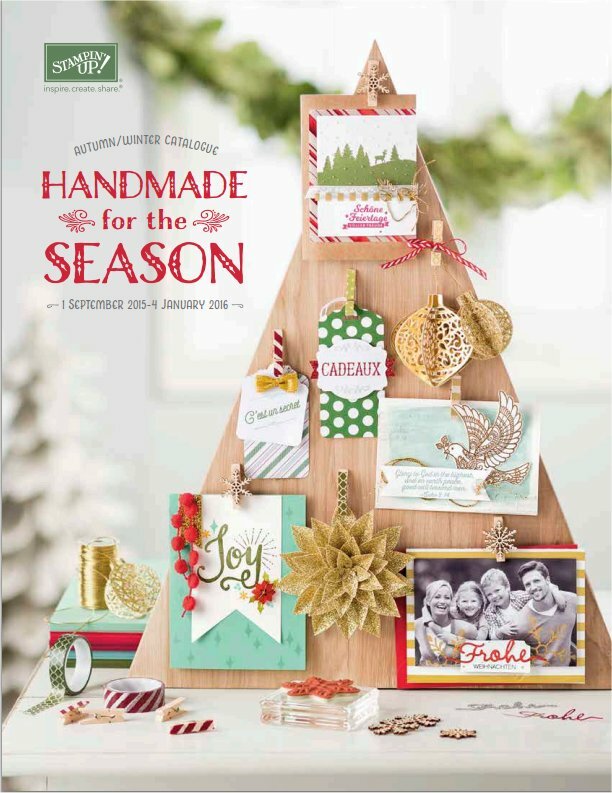 The Stampin' Up Autumn/ Winter catalogue is about to go live on Tuesday 1st September but as a demonstrator, I have been able to pre-order the products for the last month. 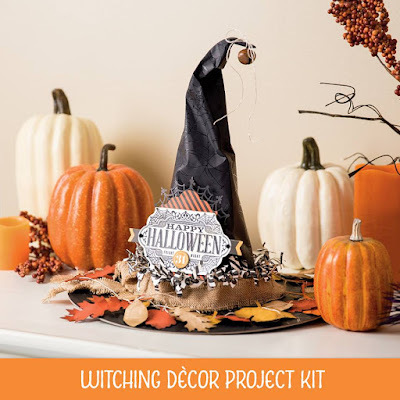 The new catalogue features lots of kits that will appeal to all levels of crafter and top of my list was the stunning this Witching Décor Project Kit. I love decorating my house for Halloween and I know this project will be perfect as a centrepiece on my hall table. I'm really looking forward to sharing this in class soon. The kit is very easy to assemble, in fact my friend and I had great fun putting the kit together while we watched the Great British Bakeoff. 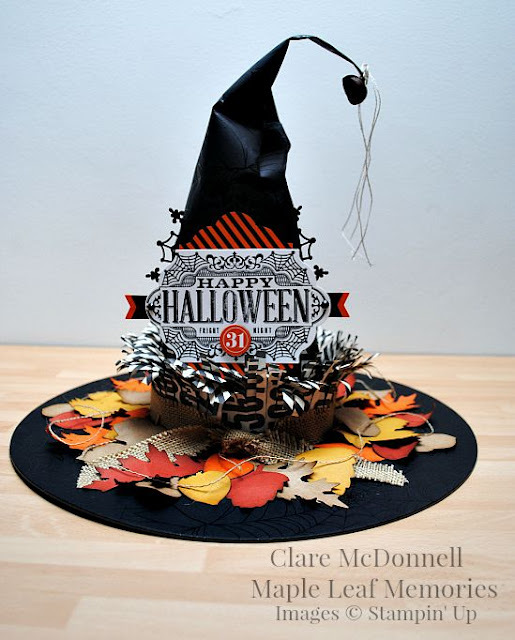 I assembled the main body of the hat while she sponged the leaves to go around the base. All the materials and instructions are included with the kit, the only other things you will need are black ink, brown ink and some glue. I will be running a class to make this kit on Wednesday 30th September from 7-930pm. The cost of the class is £25 which includes your kit, adhesive and refreshments on the night. Booking closes at 9pm Sunday 20th September. Contact me to book a place. I have opened a new Hostess Code for September which is PFZETMJD. Please use this code for orders between £25 - £150 placed in my online shop to receive a free gift from me. See the sidebar for more details on using the code.